It is important that we are able to contact you in the event of a product update or recall. This can affect all owners regardless of vehicle age. If you have changed your address, or if you are not the original owner, please make sure your Honda Dealer registers your details with Honda. Honda warrants that your new Honda vehicle brought from accredited dealer is free from material and manufacturing defects for the period of 3 years from the “Warranty Start Date” or 100,000km, whichever comes first. Ensure that your car is maintained and checked in accordance with the specifications printed in the Owner’s Manual. Retain all records necessary to prove that such checks and maintenance have been carried out, and, if requested, allow the Honda Dealer to inspect them. 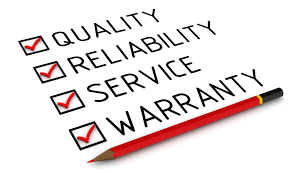 Promptly notify your authorized Honda Dealer of any defect on the vehicle that may result in a warranty claim. Ensure no security and other electronics system is installed outside your Authorized Honda Dealer. The vehicle is duly maintained and serviced in accordance with the standard and specifications of Honda by an authorized Honda dealer/workshop. Damage/defect due to abnormal usage such as rallying and racing.